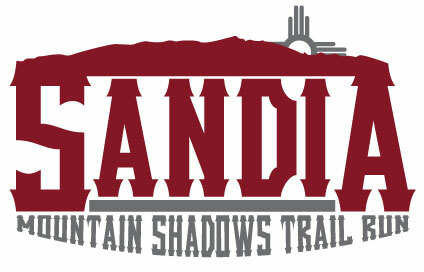 The 15th Annual Sandia Mountain Shadows Trail Run is a favorite amongst the novice to seasoned trail runners. The run begins at the Piedra Lisa Park just east of Tramway and Menaul and heads into the Sandia Foothill (Open Space) trails and finishes at the Piedra Lisa Park next to the Foothill's Dam. Overall and Age Group awards will be presented immediately after the event. Register now for this exciting run. The Start is within a short distance from the finish. Race Day Registration and Timing Chip Pickup will be located at Piedra Lisa Park. All participants who would like their finish time and be eligible for age group and overall awards must wear a timing chip. The chip must be worn on the shoe using the zip tie or chip strap (ankle strap) provided in envelope. All chips MUST be returned at the finish. Start location for the 5K & 10K running events is located at Piedra Lisa Park. Portable restrooms will be located near the Start/Finish – just east of the playground area in park. Each participant will receive a Race (Bib) number that must be worn on race day. DO NOT alter your race number in any way. Your bib number must be visible and worn on the front outside of all clothing during the entire race so that it may be clearly seen. Bib numbers are non-transferable and MUST be worn by the runner to whom it is assigned. Non-registered runners are not permitted on course. Medical staff members will be ready to assist you at any time. Radio communications personnel will be positioned at the aid station(s) along the course. The event officials have the right to withdraw any runner from the race that appears in distress or at risk. If you have a health or medical problem at the Finish Line, you will be directed to the Medical Area. Please cooperate if you are asked to go for a checkup. If you feel that you need help at any point, please ask for it! If you are unable to finish the race for any reason, please notify a race official of your bib number so that medical personnel are aware. When you cross the finish line you will be greeted by volunteers who will assist you with the timing chip removal. The overall and division award winners will be announced at the Awards Ceremony on race day at 9:30 a.m. Overall awards to the top 3 men and women will be determined by gun time. Note: ALL 10K and 5K participants will receive a finisher award immediately upon finishing the event. Fluid replacement stations supplied by water and Gatorade. Volunteers are still needed to help! Please call (505) 217-4774 to volunteer for race day or email: stephenpino@hotmail.